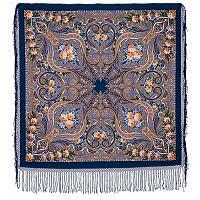 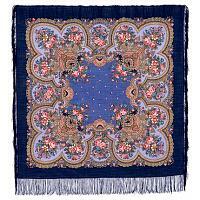 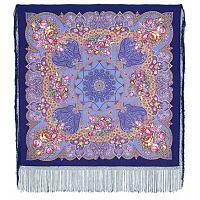 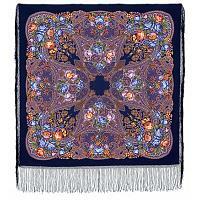 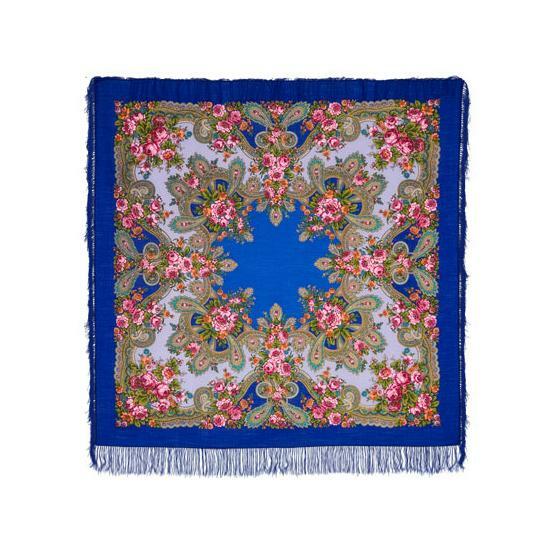 Authentic woolen shawl with silk fringe by the world-famous textile factory of Pavlovo Posad, Russia. 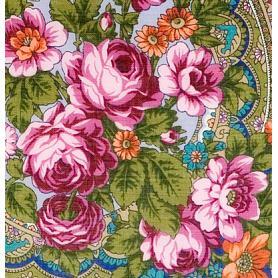 Pattern by Klara Zinovyeva. 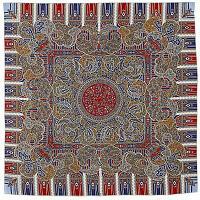 Dimensions: 57.5x57.5" (146x146 cm). 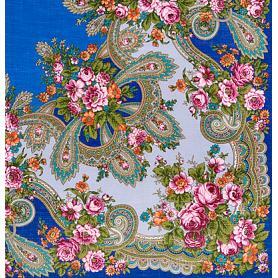 Ships from Moscow within 7 business days.